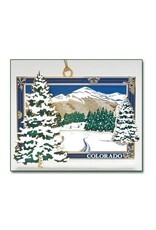 The Alpine Winter Scene is the 4th in the Colorado Christmas Collection from Whitney's Designs. This series showcases the beauty of Colorado. Each 3-dimensional collectible is made of the finest quality brass, screen-printed in vivid colors using a unique artistic process and hand finished in 24 karat gold. 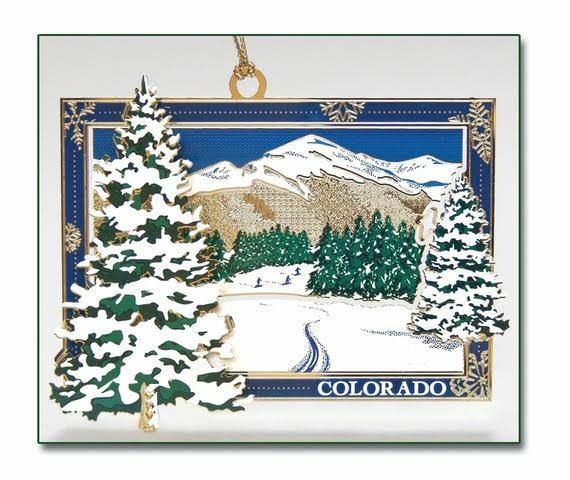 The gift box includes a card to explain the ornament's significance.